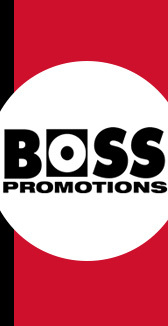 At Boss Promotions we have over 25 years of custom branding experience. We offer the most comprehensive worldwide supplier base, in addition to distribution and fulfillment capabilities in both Canada and the United States. We are leaders in promotional products and logo apparel. To further strengthen our global sourcing and logistics capabilities, we opened an office in Shenzhen, China, in 2005. This also allows us to maintain excellent working relationships with our suppliers and to perform frequent on-site inspections and quality control visits. Our guiding principles are simple and straightforward: we treat our clients the way we would like to be treated, with total dedication to exceeding expectations, together with integrity and transparency in all our business dealings.